Kabloomz is a very simple to play physical puzzle. 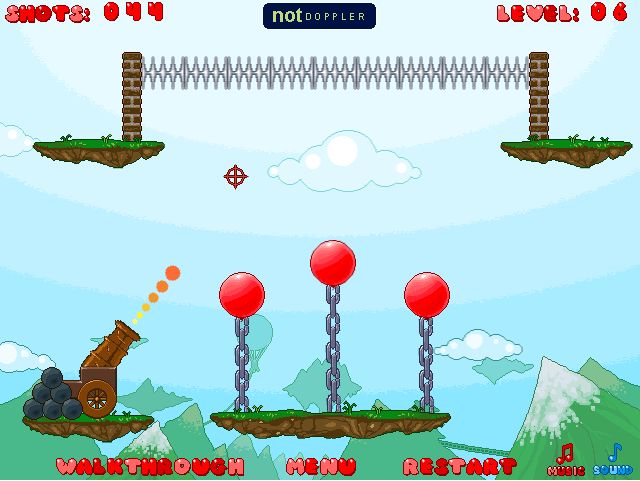 The objective of the game is to pop all the balloons in the least amount of shots possible. Use your mouse, aim and click to shoot. The power indicator is near the tip of the barrel. Use your every shot wisely. Medals are awarded for the least amount of shots possible.